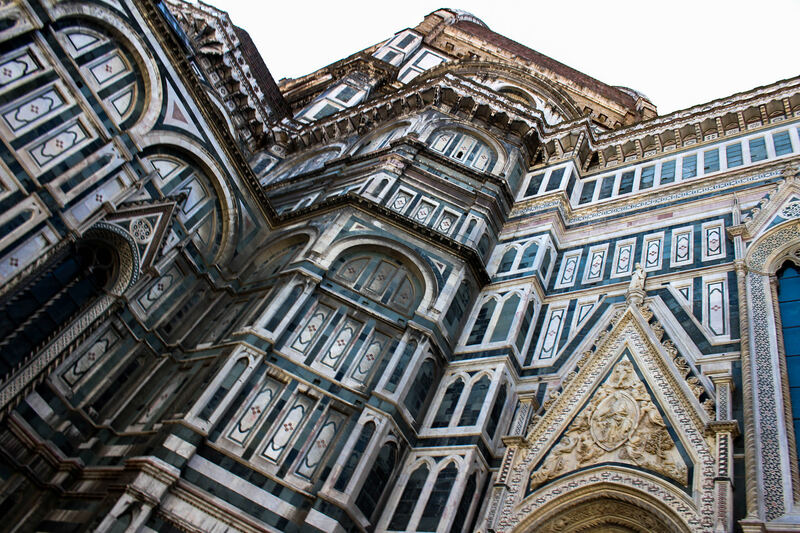 Directions: GPS Latitude 43.773100 N, GPS Longitude 11.255379 E The Cathedral is located in the Duomo Square, right in the center of Florence and is only five minutes away from the train station, south-east. It is well signaled, so getting there is very easy. I and a friend have recently visited Florence within a three-days bus trip (Florence, Naples and Bologna), with great consequences on my body. It was my second visit, and this time we were backpacking, so I left my tripod home, a choice I regretted more than once. Altough the whole Florence is awsome, the Cathedral of Santa Maria del Fiore is even more impressive. Being the fourth biggest church in the world, it is visited by more than two million and a half tourists every year. Consequently, it can get very crowded, especially on summer. This time I had a strict journey so I had time enough for a fast look only, at mid day. The best time to photograph is late afternoon, with the sun lighting directly the facade, or late in the the night. – A wide angle (20mm or shorter) lens is a must, but you might want something longer for details inside the church. Changing lens may not be so easy as elsewhere, so consider bringing a zoom lens. – A tripod is impossible to use, so bring a monopod of you really feel the need for something more stable than your body. (Which is allowed even inside the church). – Try to get there very late, maybe night time, to avoid people in the frames. – Best time of the year is summer. On the other hand, it is very crowded in this period.